Add a Requires callout to the Quick Help for a symbol using the Requires delimiter. See Precondition for usage. The description displayed in Quick Help for the requires callout is created as described in Parameters Section. - Requires: `start <= end`. 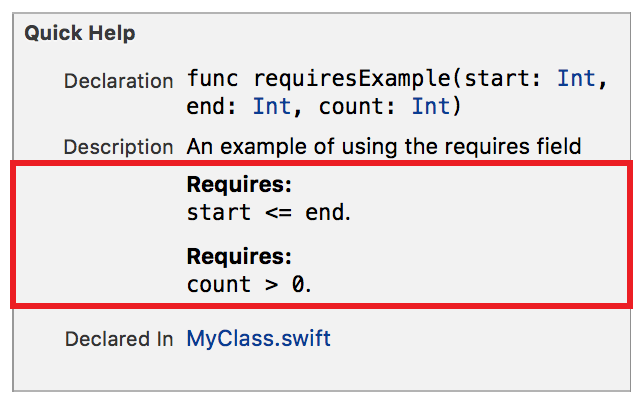 - Requires: `count > 0`.